I know that baking ciabatta can be very challenging. The bread dough can very wet and difficult to handle. For this bake-along, I'm excited that Lena, from Frozen wings, Joyce from Kitchen Flavours and I are baking ciabatta and look forward for this challenge! I had a few ciabatta recipes to choose and can't decide between two... So, I guess the decision is clear and have decided to bake two ciabatta recipes. The first recipe that I chose is from the book, The Ultimate Bread Machine Cookbook by Jennie Shapter. To me, this recipe seems to be the most common way of making a ciabatta. Not surprising, the bread dough made from this recipe is really wet and difficult to handle. As instructed by the book, I wasn't tempted to add more flour into bread dough and the bread turned out being beautiful! It is crusty at its outside and soft, spongy and moist at its inside. I would highly recommend this recipe. I chose the second recipe purely out of curiosity. Unlike the first recipe, this biga is firm and uses semolina flour. The recipe is designed in the way that the dough is actually made using fresh yeast. I didn't fresh yeast when I made this bread and took the risk of replace the fresh yeast with the dried ones and I'm very surprised that everything work well for me. Interestingly, this bread didn't need a final proving stage after shaping and I was susceptible initially and waited for 30 min after shaping to see if there is any difference. True enough, the bread dough didn't grow in size after the 30 min but to my surprise, it is the baking that puff up the bread the most. Comparing both breads, my first ciabatta has a more delicate bread texture while the second one has coarser bread texture with a thicker crust and I think this is due to the addition of semolina. Personally, I think that the first ciabatta tastes better than the second one but the second recipe is also good in the way that the bread can be easily made by hand and has a shorter fermentation time. 1. Pour the water for the biga into bread pan. If necessary, reverse the order in which you add the liquid and dry ingredients. Sprinkle over the flour, covering the water. Make an indent in the centre of the flour; add the yeast. 2. Set the bread machine to the dough setting (if available). Press start. Mix for 5 min, then switch off the machine. 3. Leave the biga in the machine, or place in a large mixing bowl covered with lightly oiled clear film, overnight or at least 12 hrs, until the dough has risen and is just starting to collapse. 4. Return the biga to the pan, if necessary. Add the water, milk and oil for the ciabatta dough. Sprinkle over the flour. Add the salt and sugar in separate corners. Make a small indent in the centre of the flour and add the yeast. 5. Set the bread machine to the dough setting. Press start. 6. When the cycle has finished, transfer the dough to a bowl and cover with oiled clear film. Leave it to rise for about 1 hr, until dough has triple in size. Sprinkle two baking sheets with flour. 7. Using a spoon or a dough scraper, divide the dough into 2 portions. Carefully tip one portion of the dough on to one of the prepared baking sheets, trying to avoid knocking the air out of the dough. 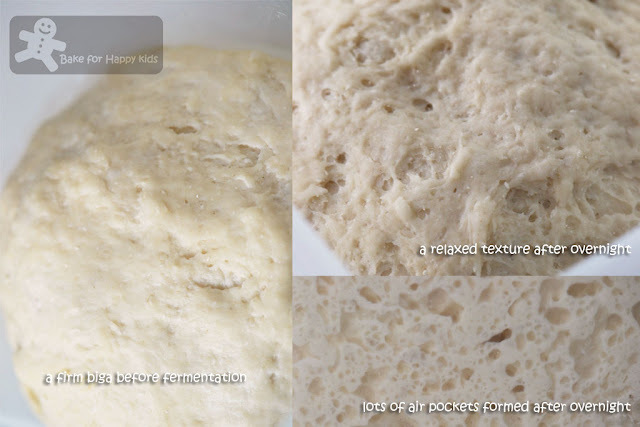 Using well floured hands, shape the dough into a rectangle loaf about 2.5 cm thick, pulling and stretching as necessary. Repeat with the remaining piece of dough. 8. Sprinkle two loaves with flour. Leave them uncovered in a warm place for about 20-30 min. The dough will spread and rise. Meanwhile preheat oven to 220°C. 9. Bake the ciabatta for 25-30 min or until both loaves has risen, are light golden in colour and sound hollow when tapped on the base. Transfer them to a wire rack to cool before serving with butter, olive oil for dipping. Note: Using half the recipe, I've made one Ciabatta loaf and bake it at 200°C fan forced for 25 min. Instead of using the bread machine, I've made the biga by hand. I mixed all the biga ingredients together and kneaded the dough for about 5 min and followed the rest of the instructions (step 3 to 9) accordingly. Place water in processor. Sprinkle yeast over. Let stand until yeast dissolves, about 8 min. Add 1 cup flour; process until blended. Scrape down sides of work bowl. Add 1 cup flour; repeat processing and scraping. Add remaining 1 1/3 cups flour. Process until small moist clumps form. Gather dough into ball (dough will be firm); place in large bowl. Cover; chill overnight (biga will soften, resembling thick oatmeal in texture - mine didn't look like thick oatmeal, it just look more relaxed than when it was first made). Pull biga into walnut-size pieces; place in a clean large bowl. Add water, yeast and 1/2 cup plus 3 tbsp semolina. Using 1 hand, squeeze ingredients together 2 min. Work dough 4 min by scooping sections from sides of bowl and pressing into center, blending into very soft, shaggy mass. Using spatula, scrape dough from sides of bowl into center. Let dough rest in bowl, uncovered, 10 min. Sprinkle salt over dough. Using 1 hand, knead dough by rotating bowl 1/4 turn at a time, scooping dough from sides and folding down into center until dough starts to come away from sides of bowl, about 5 min. Scrape dough from hand and sides of bowl. Cover bowl with towel; let dough rest 20 min. Rotating bowl 1/4 turn at a time, fold dough over onto itself 6 times; turn dough over in bowl. Cover with towel and let dough rest in bowl 20 min. Preheat oven to 425°F (or 200°C fan forced). Sprinkle work surface with additional semolina. Turn dough out onto semolina. Using pastry scraper or large knife, cut dough in half; keep halves separated. Let stand, uncovered, 20 min. Sprinkle 2 large baking sheets with additional semolina. Transfer each dough half, semolina side up, to 1 sheet. Stretch each dough half to 16 x 4-inch rectangle. 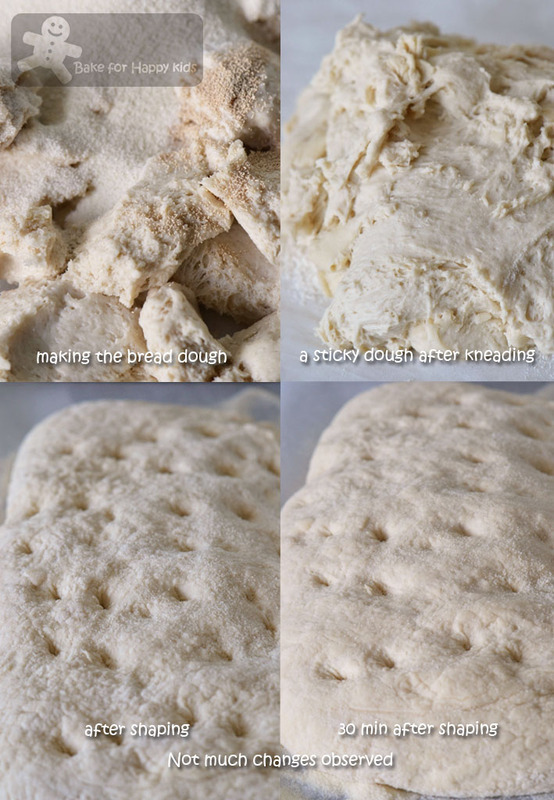 Press fingertips into dough in several places to dimple surface (characteristic of this bread). Bake until golden brown, about 25 min. Cool. Note: Using half of the recipe, I've made one loaf of ciabatta. Ciabatta is totally intimidating... I love that you tried two different types of recipes! It's great to have this comparison! Both your Ciabatta looks wonderful! I have the Jennie Shapter recipe (I love this book! ), there are so many recipes that I have, I kept changing my mind which one to make. Your second one with the semolina flour sounds interesting! I have one more, the starter is fermenting right now, hopefully it will turn out well! This is a good bake, challenging but interesting!! YUM! 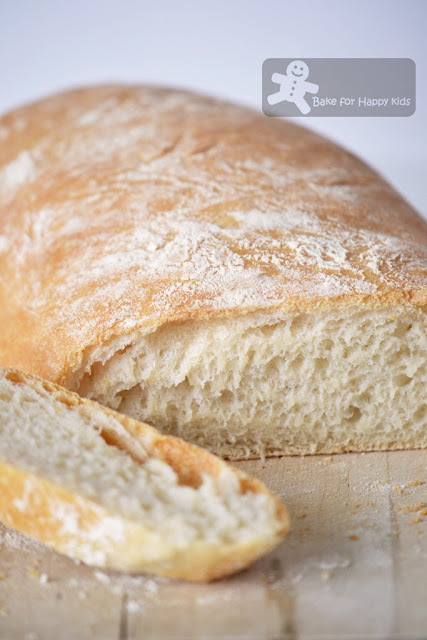 Ciabatta is one of my favorite breads-this looks perfect! Your photos are very helpful. Thanks for sharing. Can't wait to try out this sour dough bread. so interesting to see all of us using different methods to make these ciabattas, it think it's really good learning and to also know the difference it brings by using semolina flour. YOu have shaped them very well! It's been adventurous for me making these ciabattas, from the start till the end and i would love to make them more frequently, they are very nice to eat. Hi Zoe! I love cibatta bread. Cibatta bread is the bread we always use for our grilled cheese paninis. Both of your breads look absolutely perfect and they really look like they came from a bakery! Wow you girls are progressing fast. Ciabatta is not easy and kudos to you for baking two! Yeah it is really fun to see everyone's creation. Zoe, your 2 ciabatta's are splendid. I hope tonight my one works too! cross finger. Zoe, this is a very interesting bake along recipe. Earlier I dropped by Joyce's blog. Later. I'll give Lena a visit. After reading your 1st recipe, I don't feel so scare anymore. Coz Joyce's recipe & Kenwood's complimentary cookbook(I've got it from buying a new elec mixer) both use fresh yeast whereas your recommended recipe uses dried yeast. I'm totally new to bread making. I don't even know where to get fresh yeast. So, I'll mark down the 1st recipe & going to give a try in the future! Sorry for the ignorance, is a successfully baked ciabatta supposed to have lots of air holes in it? So far I only made 2 asian flavours of bread & the recipes always remind to knock back the dough after resting to remove air bubbles. 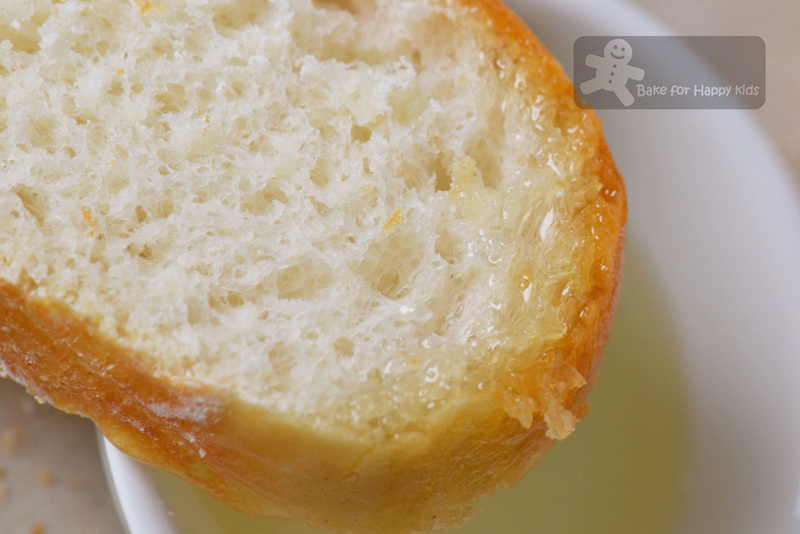 You can get fresh yeast at any local bakery or sometimes at any local Vietnamese bread shops. They are sold as compressed blocks and cost about AUD$0.50 each cube and can last for a week in the fridge. If you don't fresh yeast, you can convert the amount required to the dried ones accordingly. To finish the first bread, I pat the dough with bread flour to give it a rustic finish. Don't be afraid to use extra flour on the dough, just remember not to knead the flour in. 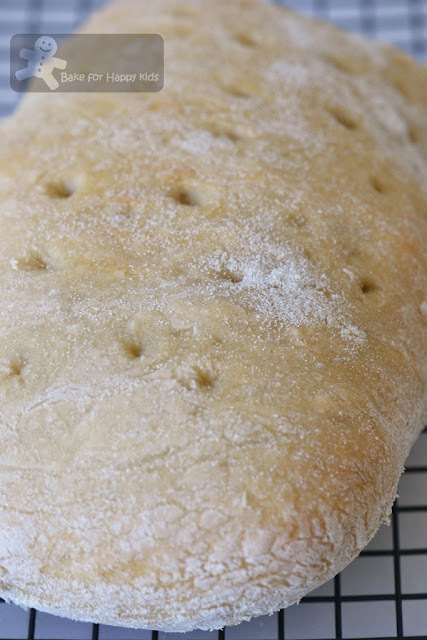 Ciabatta need lots of "large" holes to give its a spongy and firm finish. Their texture is quite different from fluffy Asian breads. I saw this type of bread only when I had buffet breakfast in the hotel. You can serve this to your family almost every week. It is so good to be able to bake like you, I have a lot to catch up. Oh,Zoe, forgot to ask you earlier. 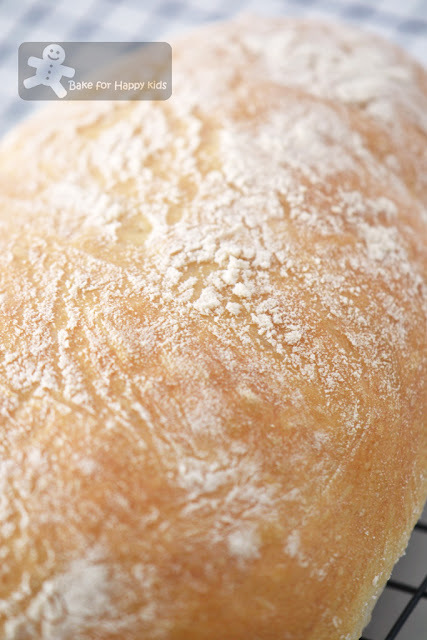 Did you use semolina flour to rub through the top of Ciabatta 1?It looks like those selling in the bakery shop! These looks really good ! Love the one that's been dipped in olive oil , major DROOL !!! Congratulations! really come out grand! Zoe, your ciabatta looks as lovely as Joyce and Lena one. Ciabatta is a bread I have never tried and all the info you give here is very useful Zoe! Both look fantastic but I can understand the difference in texture and taste! Awesome job Zoe. I missed my chance to bake ciabatta :( but surely will join you for strawberry and choco chips cake. Both Ciabatta looks perfect to me! Well done! I've never venture into bread making yet. May be I should invest on a bread machine 1st & start making my own bread! Homemade is always the best! I love ciabatta with olive oil too! YUM! Wish i could bake like you! I haven't made bread with biga in years; thank you for the inspiration. Zoe, I love baking ciabatta and both of your recipes turned out great. wow your loaves are gorgeous! and thanks for all the pictures showing the process! i am so hit and miss with bread, it helps to see in detail what it is SUPPOSED to look like at any given stage :) looks fantastic! I had bake mine. I'm using your 1st recipe but my dough turns out very sticky! Impossible for me to 'shape' the dough. The dough more like 'batter' and it spread once I 'pour' on my baking pan. I baked at 200C for 20 minutes. Crispy outer yes but inner seem chewy. It is meant to be like that? Not sure will post mine or not. My first ciabatta has a soft and lightly chewy texture inside. I reckon if you bake it for another 5 min, the inside will cook better with a more spongy texture. 100% agree that shaping this bread can be quite tacky. My hands are so sticky that I didn't have a chance to take any photo of this bread when it was shaped. The dough should be sticky but lightly bouncy and all I did was to "pat" the flour on it and shape it as accordingly. I'm loving home-made bread at the minute. I've never tried ciabatta before - I'll definitely give your recipes a go when I'm next baking bread! You, joyce & lena just have to stop tempting me! I just luuurrrveee this bread. Hmm..gotta go get some from the cafe soon! A perfect bake, Zoe, just like your 2 other pals. Congrats! Both the loaves look great! Bet they made awesome meals for you and your family! Zoe,your ciabata looks perfect,you are good baker !! PS...thank goodness the baby shower was not for my daughter...she was just hosting! I'm not quite ready for be a grandma! Wow the ciabattas look so soft and fluffy! Sorry I couldn't join this Bake Along... will definitely be joining Donna Hay and the next Bake Along though! ;) Thanks for sharing the recipes.. will try them out when I'm brave enough! Hi, I don't own a bread machine, is it possible to bake this bread? if replace using instant yeast, what is amount? 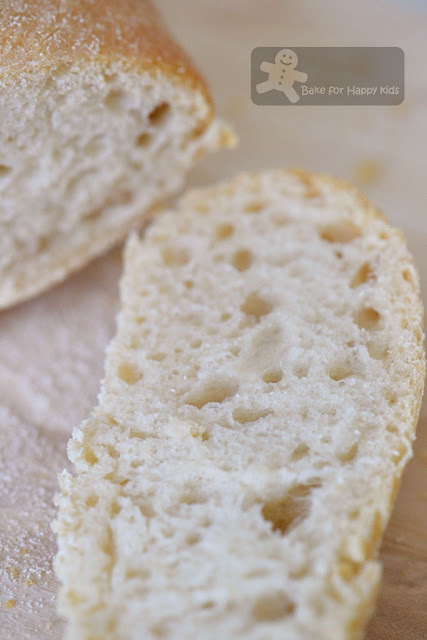 I made my second cibatta by hand and so you wouldn't need a bread machine if you are using this recipe to make your ciabatta. The yeast that I used in these 2 recipes are instant dry yeast and the quantity is shown as accordingly.